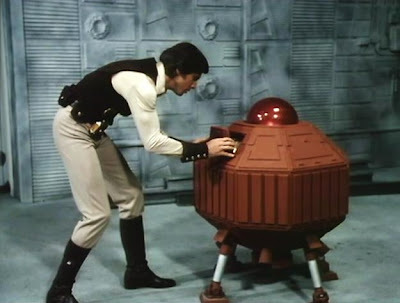 Filmation's Jason of Star Command (1978 - 1980) was a live-action Saturday morning space adventure, created in the mold of Star Wars. 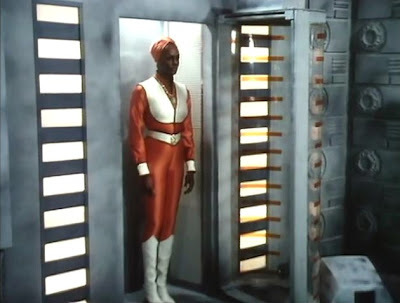 Specifically, Jason of Star Command re-used the props, settings, and miniatures from an earlier Saturday morning effort, Space Academy (1977), which had featured a more didactic, Star-Trek-like quality in its storytelling. By contrast, Jason of Star Command was all space swashbuckling all the time. The first series aired as a fifteen-minute segment on Tarzan and the Super 7. It was rather deliberately cast in the mold of the original Flash Gordon and Buck Rogers serials, with cliffhangers at the end of each installment. Jason of Star Command featured Craig Littler as the space adventurer, Jason. He was a man who dressed a lot like Han Solo (black vest, white shirt) but was a bit less-roguish in demeanor. Operating from Star Command headquarters on the Space Academy asteroid, he routinely battled an outer space despot named Dragos (Sid Haig). At Jason's side was Professor Parsafoot (Charlie Dell), who was prone to trouble. 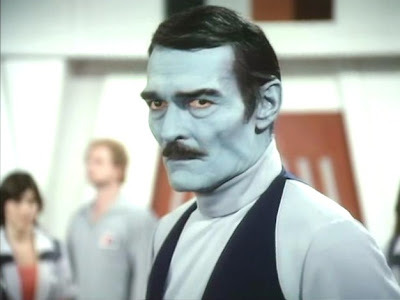 In the first season, James Doohan played the friendly base commander. Dramatic changes were in the offing for the second season of Jason of Star Command, as the series became a standalone program, and episode length was increased to fit a half-hour time slot. Doohan left the series to fulfill a commitment to appear in Star Trek: The Motion Picture (1979), and he was replaced by John Russell as Commander Stone. In "Mission to the Stars," the second season premiere of Jason of Star Command, Jason, Parsafoot and their robot sidekicks Peepo and (a re-designed...) WiKi await the arrival of Commander Stone. But an impatient Jason test-flies a newly modified Star Fire fighter -- the "fastest one this side of Beta 2" -- and accidentally strafes the new Commander as he arrives aboard a Seeker. Stone dresses Jason down, indicating his desire to command "by the book." "The galaxy is not your personal playground" he scolds Jason. Jason reminds him that he is not officially under Star Command jurisdiction, but seems chastened by his bad first impression. 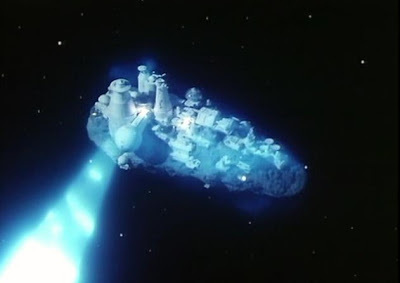 Before long, a derelict spaceship appears in the close vicinity of the Star Command asteroid, and Jason's unique daredevil skills are required to rescue any crew aboard it after a "destructor" is sent to destroy the wreckage. Aboard the ship, Jason finds a beautiful, Amazonian woman in cryo-freeze, Samantha (Tamara Dobson). He quickly awakens her and learns that she is an amnesiac. All she remembers for certain is that her people were conquered by Dragos. But a new threat emerges quickly. Drago has fired a "freeze ray" at Star Command, and it's up to Jason and Samantha to determine the source and disarm the device. The first half-hour of Jason of Star Command's second season flies by at a quick pace, and introduces new characters Stone and Samantha nicely. In the former case, Russell makes a strong impression as a more strict, less-friendly commander than Canarvin. He's a more imposing physical presence, and brings a much-needed sense of tension to the drama. Although Jason of Star Command often comes off as mindless kid's stuff, without a deeper concentration on action than upon characters, this episode is a happy and distinct change. Jason and Stone really clash, and the character sparks make the episode more interesting for forty-something adults than some earlier installments. Samantha also looks like a strong new companion in "Mission to the Stars, and there is a mystery at the heart of her story. Where did she come from, and how did she get on that derelict? Is she part of Dragos' trap? Jason of Star Command was explicitly designed for children and so there is a kind of two-dimensional, simplicity to the production. The good guys and bad guys are clearly delineated, and there aren't many moral quandaries to sort out. And yet the series is fun, and features some great 1970s era special effects too. The spaceship and starbase designs are really terrific, and are indicative of a kind of consistent approach to the universe, and to futuristictechnology. Also, I could watch Sid Haig in anything, and he's always a lot of fun as Dragos. Haig had certainly mastered the maniacal cackle here, playing almost a silent-screen-styled hissable villain. Haig seems to be enjoying himself tremendously, and the result is that his scenes are always a kick. 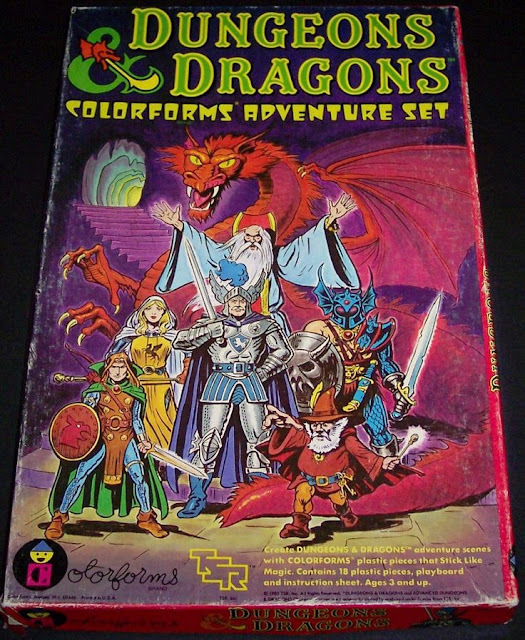 As a kid, I loved Dragos, the Starfire fighter design and the special effects. But even as a ten year old, I liked Space Academy better. There was more to latch onto in terms of each story. I suspect this helps to explain why I was always more a Star Trek kid than a Star Wars kid. I loved the hell out of Star Wars (and saw it in theaters 11 times...) but for me, Star Trek was superior because there was: a.) much more of it to enjoy (and I didn't have to wait three years between episodes), and b.) Star Trek was more thought provoking on a regular basis. Star Wars had the unbelievable action, epic sweep and great special effects...but Star Trek had the brains, and to some extent, the heart. As with your review for Wonder Woman's 'The Boy Who Knew Her Secrets', it's wonderful to see a review for another often overlooked series. The changes for the second season of Jason of Star Command were mostly for the better. The new (blue!) Commander was a far more interesting character than the rather dull one played by James Doohan in the first season. Samantha was fun, though her background could have been better explored. The effects were more than just great, they were astonishing for any tv program in 1978 (stop-motion creatures and motion-control filmed models). This show showed the amazing leap in effects technology after Star Wars. 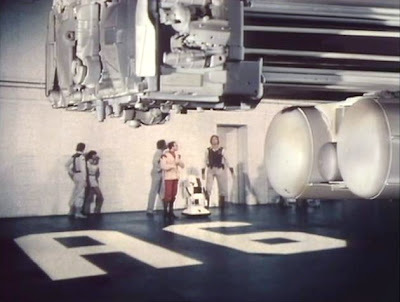 The improvement and sophistication is particularly notable compared to Space Academy filmed just a year earlier with some of the same models. Dropping the short 'Flash Gordon'serial style for longer eps was an improvement too. As with the recent annoucement of a Space:1999 retooling, it would be great if Jason of Star Command could be made into a new series! As always, another excellent review, John. Every Saturday Morning, I looked forward to viewing both Space Academy and Jason Of Star Command on CBS. It seems that CBS always had the cool programming when it came to Saturday Morning cartoons and other shows(Saturday Supercade, Dungeons and Dragons, Bugs Bunny-roadrunner, and The Charlie Brown and Snoopy Show among many). I definitely enjoyed these two Filmation productions. The set designs, costuming, and SFX were definitely up there with those shown on Space:1999 and the original Battlestar Galactica. In a few words - I LIKE THEM! Thanks again for another great review. As always, they are a delight to read. Keep up the good work. John, like you, I was a boy in the '70s first enjoying SPACE ACADEMY, then JASON OF STAR COMMAND. Your Star Trek=Space Academy and Star Wars=Jason Of Star Command analysis is exactly how I felt about these shows. I loved the production design of the Space Academy/Star Command ship, Seeker and Starfire. The photo that you posted in this review of the SA/SC A6 Space Lock Docking Bay with the 'realistic' full-scale aft section of the Starfire with the actors in frame still impresses me. I am such a fan of this series. Even with the reuse of some Space Academy footage, it really appears that Filmation gave carte blanche to the effects team to do much more complete, fully realized work compared to the previous series. From the clarity of the model shots to the ship re-designs and insert shots (like W.I.K.I. flying up into the sky) to the stop motion creatures -I think it's among the finest live action effects work the company ever did. Certainly the most ambitious. Anonymous: I agree with you that the second season changes were for the better. They made Jason of Star Command more lively and less generic feeling, somehow. I also agree with you that the special effects are pretty fantastic. I'd love to see a modern re-do of Jason of Star Command. I think it could be truly amazing, and add a lot of depth to this universe. Anonymous #2: I'm glad you wrote that the sets and special effects of JOSC and SA are up there with 1999, and BSG. I think you are absolutely right. It's something I should have said in the body of my review. The production is just incredibly impressive. I'll also note, the effects and sets of Saturday morning Filmation efforts far exceed the likes of prime-time contemporaries such as Logan's Run or The Fantasitc Journey. I'm not saying I don't love those series, only that Jason and Space Academy actually looked more accomplished. Hi T.S. Yes, the JOSC special effects are a marvel. Clean, crisp and terrific. I agree with you about the ambition of Space Academy and Jason of Star Command. The production design, costuming and sets are all top-notch. I feel very much that these two series tend to be overlooked (a lot like Land of the Lost...) because they aired on Saturday morning. I have to tell you re the star wars star trek closing. I loved star wars in 1977 and I liked star trek a lot too through syndication. Funny enough, things have reversed for me considerably over the years. I now love star trek more than ever and star wars I like. I especially adore the original and can watch it Anytime but by and large I've moved on fro star wars. It's entirely for the reasons you mention. Star trek is the smart one with heart. Star wars has loads of heart and it's fun, but star trek is the one you want to spend time with rediscovering it's intelligent details. Definitely a great idea for a post and one that is always great fun for debate despite the fact they are very different.